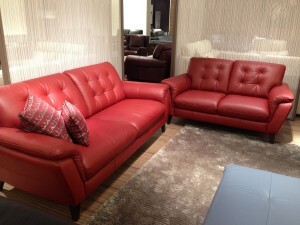 At the pinnacle of design in the Sofa world is concept Italia. These fabulous sofas are built with three things in mind, ultimate build quality, fabulous comfort and the epitome of designer styling. With the sumptuous genuine craftsman Italian cowhide leather combined with the worlds foremost designers like Marco Volante and Harris Antonia penning works of art in the designer luxury sofa sphere. With pocket foam under sprung combined with kiln finish hardwood cedar frames manufactured and crafted by Artisans in the south of Italy, concept Italia sofas really bring a recipe for the Uber styling and contemporary living. You can choose from powered headrest, power recliner, Chesterfield button detailing along with chrome legs, off the floor designs to name just a couple. Add this to the availability of corner groups, three seater, two seater, armchair, footstool, modular or even at the cinema sofas and you have a world of choice at your finger tips. If you are looking for an alternative to concept Italia then you can try Mizzoni. Mizzoni Bring designer comfort and styling in sofas and corner groups to the mainstream market with great deals and fabulous offers on some of the most stylish sofas in the world. So why should we head to Italy for the sofas. Italy is renowned for being the Masters of leather sofa upholstery and uphold the tradition and pride in craftsmanship artisan sofa and corner group built.